It was asked if other metals could be incorporated into stained glass work in another thread, but it was long ago so I decided to start a new one. Weller 40W iron, Glastar flux, Kester 60/40 solid core solder .040" diameter. From left to right: mild steel, plated steel, stainless steel, brass, bearing bronze. The brass and bronze should come as no shock with their high copper content, but the stainless was a pleasant surprise. I'll admit I'd wished I had a bit more power on the larger diameters, but with patience, was able to get it done with just 40 watts. And the relatively weak flux used in stained glass made me alter my method. Usually, I flux the parts before applying heat. To get this to work, I had to apply heat until the solder would melt when touching the work piece, then apply flux, then more heat and solder. If you were going to do a lot of this work, I would recommend getting something like Harris Stay-Clean flux. Same chemicals as the Glastar, just a higher concentration of them. If your usual method of soldering stained glass is by loading the iron with solder and bringing to the piece, you'll need to do things a little different. Wet the iron tip with solder to enhance heat transfer, then heat the piece until IT melts the solder, not the iron. There are special solders and fluxes for aluminum, but I don't have any to try. I also didn't have any silver plate to try. The largest obstacle will be not knowing what you're trying to solder. Reach into someone's scrap pile and pull out a piece of oil impregnated bronze and you'll have a fight on your hands that you'll never win. Let me know if there are any other metals you'd like me to try. Soldering is fun to experiment with, and there are different Soldering methods to suit what you need. You have the standard irons, Resistance soldering, and hot air soldering. I keep a range of irons from 30 watt to 450 watt. Resistance soldering is good for using solder paste and where you don't want the solder to show on your work. 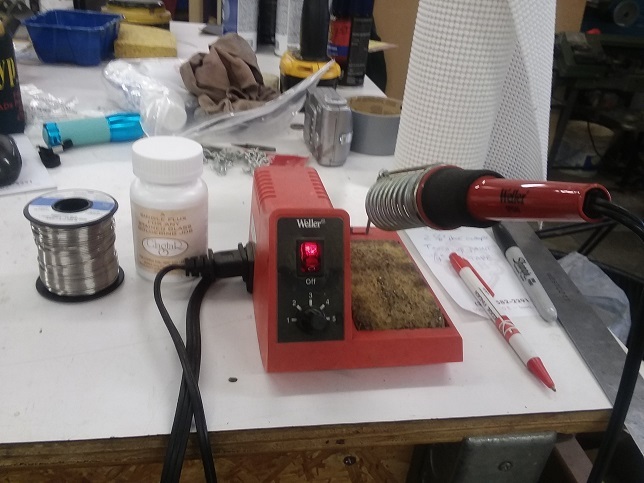 Hot air soldering stations reach a temperature of over 900 degrees, and are good for sweat soldering where you don't want an iron or flame to touch the work surface. Soldering is one of my favorites. Have accumulated a lot of commercial grade irons, Like America Beauty and Hexacon in different wattages. Also believe in iron maintenance. 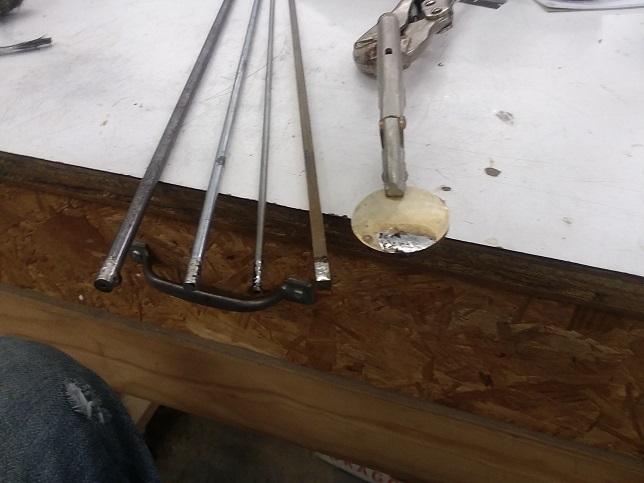 Take them apart once in a while and clean all the metal parts to bare metal. Parts will oxidize and form a film on the parts that makes it hard to transfer heat from one part to another. Keep your tips clean and tinned at all times, and don't let the irons heat up over bout 700 degrees. Once the iron gets to 800 or 900 will start to burn off the tin in the solder and it will not flow and stick. Also the burnt tin forms black gunk that's hard to get off the tips. Its nice to have all the newer ceramic irons and specialized equipment, but I like the old fashioned irons that hold and store a lot of heat, and will keep up with your working speed. A 60 or 80 dollars modern iron can never out preform a 200 dollar American Beauty Commercial Iron.